RCI®, the global leader in vacation exchange and part of the Wyndham Worldwide family of brands, has renewed its affiliation agreement with El Cid Resorts. The 35-year old Mexican hotel group continues the partnership in an effort to offer the high-quality services and varied exchange options its owners have come to expect over the 27 years RCI has been its exclusive vacation exchange provider. 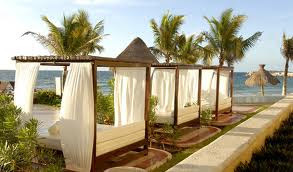 The agreement includes El Cid Resorts’ six developments in Mazatlán, Cozumel and the Mayan Riviera. Each of the El Cid Resorts attracts visitors with its first-class oceanfront accommodations, luxury spas and friendly and dependable service. Mazatlán’s four locations are renowned for their golf courses, while the Cozumel location gives visitors access to cave and cavern diving. In the Mayan Riviera region, travelers staying at Hotel Marina El Cid Spa Beach Resort (see photo) can go snorkeling in the aqua waters of the Caribbean in Puerto Morelos National Reef Park. “We are proud to continue our relationship with El Cid Resorts, a hotel group that continues to grow through a clear business vision,” said Ricardo Montaudon, president and CEO, RCI Latin America. RCI is the worldwide leader in vacation exchange with over 4,000 affiliated resorts in approximately 100 countries. RCI pioneered the concept of vacation exchange in 1974, offering members increased flexibility and versatility with their vacation ownership experience. Today, through RCI® Weeks, the traditional week-for-week exchange system, and RCI Points®, the industry’s first global points-based exchange system, RCI provides flexible vacation options to its 3.8 million RCI subscribing members each year. Diamond Resorts International® (Diamond) a global leader in the hospitality and vacation ownership industries, encourages its U.S. bound owners, members and guests to participate in Global Entry, a U.S. Customs and Border Protection (CBP) program that provides expedited clearance for pre-approved, low-risk travelers upon arrival in the United States. Both the frequent international traveler and occasional jetsetter are equally eligible as no minimum number of trips is required to qualify for the program. Global Entry is designed to alleviate frustration by eliminating duplicative screening of international passengers while still maintaining optimal security. The process requires that participants present their machine-readable U.S. passport or permanent resident card at a Global Entry Kiosk, provide fingerprint verification and make a customs declaration. Upon completion, the kiosk issues the traveler a transaction receipt and directs the traveler to baggage claim and the exit. In 2008, CBP launched its pilot study of the Global Entry program at 20 airports. Due to its success, CBP is preparing federal regulations to make it a permanent program. The program is currently open to U.S. citizens and permanent residents, Canadian citizens and permanent residents, Dutch citizens as well as Mexican citizens. Global Entry will soon be open to United Kingdom, German and South Korean citizens. Diamond Resorts International®, with global headquarters in Las Vegas, Nev., is one of the largest hospitality companies in the world with more than 200 branded and affiliated resorts and over 24,000 guest beds in 28 countries with destinations throughout the continental United States and Hawaii, Canada, Mexico, the Caribbean, Europe, Asia, Australia and Africa. Annually, nearly 1.4 million owners, members and guests enjoy the simplicity, choice and comfort Diamond Resorts International® offers through our branded hospitality experience. Diamond Resorts Corporation and its subsidiaries develop, own, operate and manage vacation ownership resorts and, through resort and partner affiliation agreements, provide owners and members with access to 69 managed resorts and 132 affiliated resorts. The Human Rights Campaign Foundation has awarded Marriott International, Inc. a high score of 90% on its annual Corporate Equality Index for 2011. The Corporate Equality Index rates employers for their acceptance of and respect for their lesbian, gay, bisexual and transgender (LGBT) employees, consumers and investors. Ratings are based on factors such as non-discrimination policies, equal benefits for domestic partners, and respectful advertising, and external community outreach. “From our employees and owners to our suppliers, customers and shareholders, everyone brings something different to Marriott and we embrace all,” says Jimmie Paschall, Global Diversity Officer and senior vice president of External Affairs, Marriott International. “We are proud that the Human Rights Campaign recognizes our commitment to a culture of inclusiveness. It is in the fabric of our culture. Our employees, customers, owners and shareholders expect it and understand that it is what makes Marriott successful,” said Paschall. Marriott has consistently been recognized for its outstanding workplace and diversity and inclusion programs. For a comprehensive list of accomplishments, click Awards and Recognition. In 2009, Marriott launched its web site tailored primarily for the LGBT community. To learn more, click here. 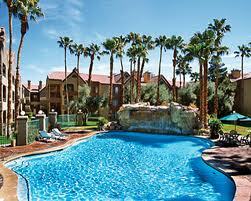 Browse Marriott timeshare resales, exchanges, and rentals. Everyone brings something different to Marriott. From Maryland to Mumbai, Marriott does business responsibly around the world. Diamond Resorts International®, a global leader in the hospitality and vacation ownership industries, continues global sustainability efforts and offers Agricultural Corner, an educational gardening program, to its owners, members and guests at Sunset Bay Club in Tenerife, Spain, Diamond’s fourth resort to have a sustainable garden. Agricultural Corner, in conjunction with the on-site sustainability garden, offers owners, members and guests an opportunity to assist in the caretaking and harvesting of a variety of vegetables and herbs, cultivated using all natural products, completely pesticide-free. Gardening experts are available to provide gardening tips and useful information including the health benefits of the local produce. Diamond Resorts International has already implemented sustainability gardens at Ka’anapali Beach Club in Maui, Hawaii, The Historic Powhatan Resort in Williamsburg, Virginia and Vilar do Golf in Algarve, Portugal. 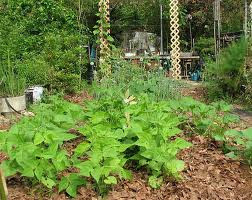 The use of these gardens enhances the natural environment while benefiting the ecosystem and local economy. Minimal chemical pesticides and fertilizers are used during production and the installation of underground watering systems decreases water waste and eliminates runoff. Each garden boasts unique features and hosts an array of fresh produce native to the area and specific to the cultural cuisine and restaurant offerings of the resort. “We place a strong emphasis on eco-awareness and will continue to introduce and promote programs which encourage properties worldwide to engage in green initiatives,” stated Stephen J. Cloobeck, Chairman and Chief Executive Officer of Diamond Resorts International. It was announced this week that the Corporation for Travel Promotion is now doing business as Brand USA, Inc. 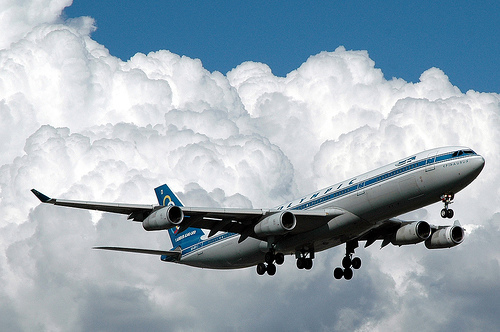 The Corporation for Travel Promotion was created in 2010 for the purpose of encouraging travelers from all over the world to visit the United States of America. In this blog we have written about The Corporation for Travel Promotion, and its mission to increase foreign travel to the U.S., and thus increase jobs and put the U.S. travel industry on a healthy footing, where it has not been since the 9-11 attacks. Increased foreign tourism to the U.S. can translate into increased interest in timeshare resales, exchanges, and rentals, so it is good to hear that Brand USA Inc. launched the United States’ first-ever nationally coordinated global campaign at London’s British Academy of Film and Television Arts and a subsequent press conference at ExCel London. 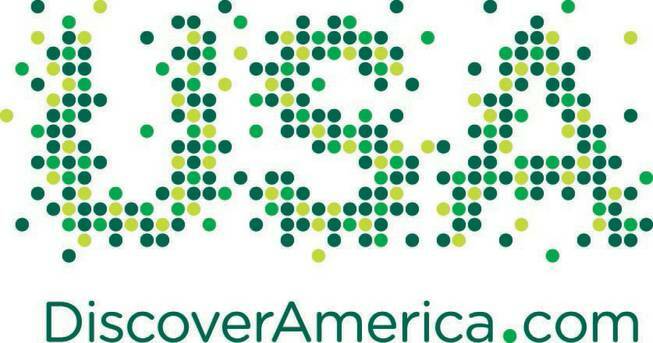 “The new identity of Brand USA captures the unique and diverse culture of the US, and is a critical step in the development of the nation’s first unified marketing strategy,” said Cloobeck. 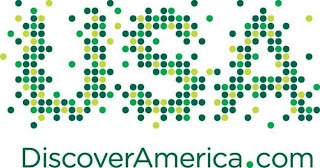 The logo, which comprises a collection of dots joining together to form the letters USA, symbolizes” the boundless possibilities of the US.” The logo also displays Brand USA’s consumer website, DiscoverAmerica.com. The first official advertising and marketing campaign is scheduled to launch in spring 2012. Interval International, a prominent worldwide provider of vacation services and an operating business of Interval Leisure Group has appointed Christopher McGill as director of resort sales and service for the western region. 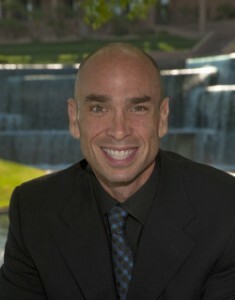 He is based in the Las Vegas office and reports to David Callaghan, vice president of resort sales and service. In this role, McGill oversees Interval’s presence and directs the day-to-day sales and service activities in the states of Arizona, California, Nevada, Oregon, and Washington. He is responsible for providing service to Interval’s existing affiliated resort clients, as well as building Interval’s developer client base in those markets. “We are extremely pleased that Chris has joined our resort sales and service team. His sales and marketing experience in the timeshare industry has already proven to be a considerable asset, as we continue to grow our business in the western region,” said Callaghan. 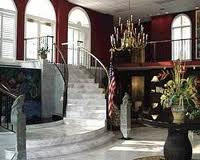 McGill began his sales career with QM Resorts, where he was employed from 2001 to 2004. He then served as a staffer, campaign manager, and executive director for a number of Nevada public officials. Most recently, McGill was president of Lingkt Public Relations and Business Development, a consulting firm in Las Vegas. He earned bachelor’s and master’s degrees in political science from the University of Nevada in Reno. Interval International operates membership programs for vacationers and provides value-added services to its developer clients worldwide. Based in Miami, Florida, the company has been a pioneer and innovator in serving the vacation ownership market for 35 years. Today, Interval has an exchange network of approximately 2,600 resorts in over 75 nations. Through offices in 15 countries, Interval offers high-quality products and benefits to resort clients and approximately 2 million families who are enrolled in various membership programs. Wyndham Vacation Ownership (WVO), the world’s largest vacation ownership company and a member of the Wyndham Worldwide family of companies, announced it has completed renovations on its 15th resort in Hawaii - Wyndham Vacation Resorts Royal Garden at Waikiki. “With the addition of our 15th resort in Hawaii we are solidifying our position as the industry’s largest and most successful timeshare developer in Hawaii,” said Franz Hanning, president and chief executive officer, Wyndham Vacation Ownership. Wyndham Vacation Resorts Royal Garden at Waikiki will operate within ClubWyndham®, plus the company’s points-based exchange program that allows owners the flexibility to vacation at more than 70 resorts. Located along the Ala Wai waterway just blocks from Waikiki Beach, Wyndham Vacation Resorts Royal Garden at Waikiki offers spacious accommodations in one of Hawaii’s most desirable locations. The property features studio units and one- and two-bedroom Presidential units. Onsite amenities include an outdoor swimming pool, two saunas, fitness center, media lounge and outdoor garden. The resort is conveniently located in close proximity to the Waikiki Beach Walk complex, one of the largest redevelopment projects in the city’s history which includes shopping, fine dining and nightlife. Wyndham Vacation Ownership, a member of Wyndham Worldwide’s WYN family of companies, is the world’s largest vacation ownership business, as measured by the number of vacation ownership resorts, individual vacation ownership units and vacation ownership interests. WVO has developed or acquired more than 160 vacation ownership resorts throughout the United States, Canada, Mexico, the Caribbean and the South Pacific. Headquartered in Orlando, FL, WV0 is supported by approximately 13,300 employees globally. Take a look at all timeshare rentals, exchanges, and resales listed for WVO resorts in Hawaii. RCI, the global leader in vacation exchange and one of the Wyndham Worldwide family of brands, announced the winners of its successful “Go Green Awards” for its affiliated resorts in the Pacific, at the recent Australian Timeshare and Holiday Ownership Council (ATHOC) conference. This year’s winner, Club Paihia in New Zealand, the runner-up in 2010, showed remarkable progress using prize money earned last year to set up a dedicated Club TV channel that provides guests with information about the resort’s sustainable activities. Western Australia’s Wyndham Vacation Resorts Asia Pacific Dunsborough and Queenstown Mews also of New Zealand were acknowledged as runners-up. To recognize their commitment to sustainable environmental practices, each of the three winners received cash donations to further expand their environmental programs. “This year we tweaked the criteria to better reflect some of the latest findings on trends within the hospitality industry. More importantly we also took into account progress and performance, so that the amount of sustainability-related change made during the past 12 months was a major factor, along with actual practices and initiatives,” said Dr. David Weaver, Professor of Tourism Research at Griffith University, and adjudicate of the self-assessment and on-site inspection phases. More than 15 resort submissions and three exceptional finalists who demonstrated credible advances in environmentally-friendly sustainable practices throughout the year, made this year’s Go Green program a resounding success. “Having such committed eco-conscious resort managers, clearly reflects on the exceptional caliber of resorts within RCI’s exchange network,” added Charisse Cox, managing director of RCI Pacific. Launched over two years ago, the ‘Go Green’ program was a first for the timeshare in the Pacific and for RCI worldwide. Recognizing the emergence of a growing ‘green conscious’ member base, RCI set out to encourage affiliate resorts to embrace green initiatives while aiming to improve the industry’s carbon footprint as a whole. Consequently, the ‘Go Green’ program has quickly been embraced by affiliate resorts both regionally and globally. Since its inception, both RCI North America and RCI Europe businesses have followed suit, launching similar programs this year, yet another example of RCI’s commitment to the environment on a global level. “Go Green Award of the Pacific region and The Green Awards of North America and Europe fit in well with our global commitment to corporate social responsibility and the environment,” Cox said. The American Resort Development Association's (ARDA) International Foundation (AIF) is launching the first comprehensive e-learning platform for the timeshare industry. AIF will provide ongoing industry-specific training for sales, marketing and operations staff on an easy-to-use e-learning platform. The first course launching in Fall 2011, is entitled "Partnership Strategies: Winning in the New Economy." "We have been hearing from members for years about the need for more industry-wide, standardized training," said Darla Zanini, executive vice president, AIF. "We're thrilled to be able to deliver the first of many courses that will enhance the skills of the people working in the timeshare industry." "Partnership Strategies" is a self-paced seven-module course that delves into specific strategies and best practices for handling customer interactions today. Integrating video, interactive exercises and module quizzes, the course offers real-life examples and situations applicable for any timeshare employee who may have contact with consumers. RCI’s senior vice president, Kris Jamtaas is enthusiastic. "We had our entire sales team in San Diego participate in the course together, as well as some staff from operations, the phone room and gifting, and they all gave it high praise," Jamtaas. "AIF has hit the mark with this powerful and relevant topic – Partnership Strategies is a must-take industry course for all who are passionate about their profession." The course is available to both corporations and individuals. For individuals, the price is $399 and will include the entire 2010 AIF Webinar series at no extra charge. There are three levels of corporate partnership that provide packages structured specifically for companies that have multiple users and want to take advantage of the special pricing offered. Future courses will be announced later this year, including Timeshare 101. For further information, please visit www.arda.org/elearning. The American Resort Development Association (ARDA) is the Washington D.C.-based professional association representing the vacation ownership and resort development industries. Established in 1969, ARDA today has over 1,000 members ranging from privately held firms to publicly traded companies and international corporations with expertise in shared ownership interests in leisure real estate. 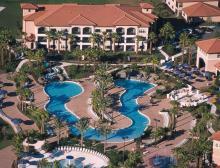 The membership also includes timeshare owner associations (HOAs). 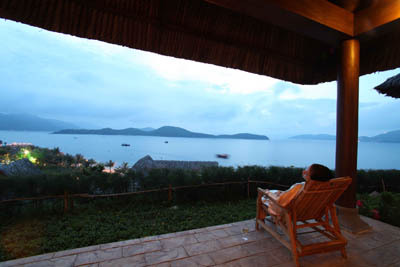 RCI, the global leader in vacation exchange and part of the Wyndham Worldwide family of brands, has announced two new affiliation agreements with Hon Tam Resort & Spa in Vietnam (see photo) and Patong Bay Garden Resort in Thailand. The signing of these agreements expands RCI’s Asian portfolio to 158 properties. Earlier in the year, another two new properties were welcomed into the program. Both in China, the Shining Star Vacation Club, Xing Yao Shui Xiang Resort and Huangshan Grandview Resorts Hotels offer high-quality vacation experiences to the 3.8 million members in RCI’s network. “These four new affiliation agreements not only show a growing interest for timeshare travel throughout Asia but evidence that we’re offering an innovative and appealing timeshare exchange product,” said Adrian Lee, managing director, RCI Asia Pacific. “Adding new resorts in China, Thailand and Vietnam reaffirms our commitment to offering great vacations in highly-desirable destinations in Asia and throughout the world. We’re happy to have them on-board,” Lee said. Patong Bay Garden Resort is located on the popular Patong Bay in Phuket, Thailand offering a full range of facilities and activities, along with the classic touch of Thai charm and hospitality. Phuket, also known as the Jewel of the Andaman Sea, is a world-class destination offering a dynamic, vibrant and diverse holiday destination; world-class diving in the Andaman Sea; golfing at world-standard championship courses; eco-adventures in tropical forests; exhilarating speedboat trips to the surrounding islands; and serene cruises around mystical Phang Nga Bay. 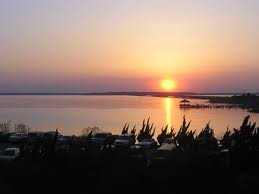 Shining Star Vacation Club, Xing Yao Shui Xiang Resort is located in the Jia Lize wetland in Kunming, China. This mega upscale integrated tourism development consists of more than 10,000 diverse vacation accommodations spread across themed resorts, hotels, holiday villas and town houses; equestrian club with a landscaped 20-kilometer riding boulevard; ecological wetland park; country-style fishing club; golf academy and driving range exclusively designed by Phil Mickelson; extensive lavender and sunflower fields; organic fruit and vegetable garden; meeting and conference facilities; and a myriad of retail and dining facilities. 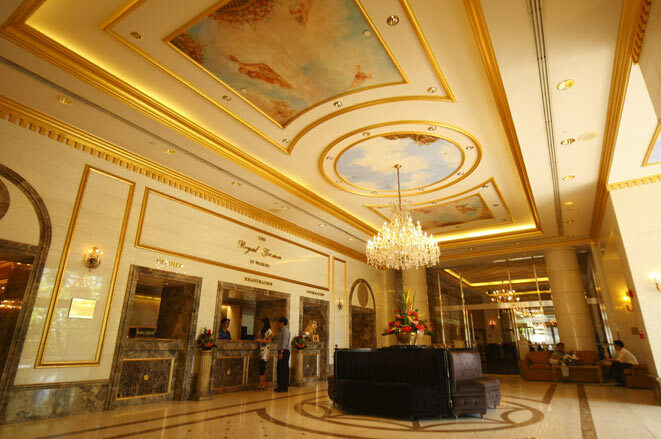 Huangshan Grandview Resorts Hotels, part of the Yuan Yi Group, is a global lifestyle and mixed-used development strategically located in the south of Xin An River and flanked by Pei Lang River to its east. 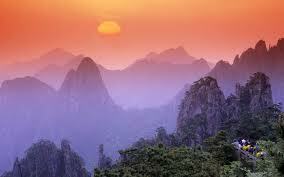 It is surrounded by renowned tourism sites such as the charming Old Antique Street, the awe-inspiring Huangshan, China (also known as Yellow Mountain), diversified cultural wetlands and historical Anhui villages. Extra Holidays by Wyndham, a subsidiary of Wyndham Vacation Ownership, the world’s largest vacation ownership company and a member of the Wyndham Worldwide family of companies, has announced a monetary donation in support of children impacted by the terrorist events of September 11, 2001. Tuesday’s Children, a New York City-based nonprofit family service organization, will receive the charitable funds. In honor of the 10th anniversary of September 11, Extra Holidays by Wyndham is donating $10,000 to Tuesday’s Children and is encouraging the social community to visit the Extra Holidays Facebook page to “like” it and learn more about Tuesday’s Children. Tuesday’s Children is a nonprofit family service organization that has made a long term commitment to every individual impacted by the events of September 11, 2001 and more recently those who have been impacted by terrorist incidents worldwide. Extra Holidays by Wyndham specializes in offering quality vacation accommodations throughout the United States, Virgin Islands and Puerto Rico. Extra Holidays by Wyndham is a specialized, resort condominium rental operator and a part of Wyndham Vacation Ownership, which is headquartered in Orlando, FL. Interval International, a leading global provider of vacation services and an operating business of Interval Leisure Group, has expanded its global resort network with the addition of Jinfeng Yinhua Holiday Hotel, part of the Shengteng Vacation Club. In the UNESCO World Heritage Site of Lijiang City, China, the vacation ownership apartments offer the ideal vantage point from which to explore the history and customs of the Naxi people, who have lived in Yunnan Province for 800 years. 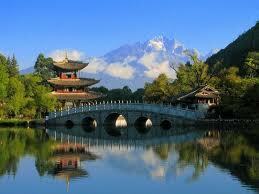 Legendary Lijiang City is situated in the mountains of Yunnan Province, in the far southwest of China. Due to its low latitude and high elevation, the climate is generally mild year-round. “Lijiang City is a harmonious combination of old traditions and a fashionable new city,” said Wang Xinming, President of Shengteng Resort Development Co. Ltd. “We are pleased to welcome Interval members to this part of China and to offer our Vacation Club members the quality and worldwide scope of Interval International operates membership programs for vacation owners and provides value-added services to its developer clients worldwide. Based in Miami, Florida, the company has been a pioneer and innovator in serving the vacation ownership market for 35 years. Today, Interval International has a timeshare exchange network of approximately 2,600 resorts in over 75 nations. Through offices in 15 countries, Interval International offers high-quality products and benefits to resort clients and approximately 2 million families who are enrolled in various membership programs. Interval is an operating business of Interval Leisure Group, Inc., a leading global provider of membership and leisure services to the vacation industry. The French Caribbean destination of St Martin will make history when it hosts the first state of the industry conference organized by the Caribbean Tourism Organization (CTO) in September. President of the St Martin Tourism Authority, Ida Zin-Ka-Ieu, and the CTO secretary general, Hugh Riley, made the announcement at a joint news conference. The event was also attended by Edward Dest, the marketing manager of Dutch St Maarten’s tourism bureau and Lisa Noel, the product development assistant, also of Dutch St Maarten. “The Caribbean Tourism Organization is thrilled that St Martin has taken this opportunity to demonstrate its creativity to the Caribbean and the world by hosting our first ever state of the industry conference,” said Riley. The September 14th-17th conference will look at the current state of the Caribbean tourism industry and how to deal with issues that impact on the sector, with a view to building for the future. Bringing together policymakers, executives and tourism industry professionals, this conference will mark the premiere State of the Industry Conference for CTO, who represents tourism for over 30 Caribbean countries. This year’s conference will focus on the themes of beating the global recession and the ways to succeed within a competitive environment. Organized in part with the Saint-Martin Tourist Office, the event will also demonstrate the ways in which the Caribbean has overcome current economic challenges and how they are continuing to improve local tourism. Topics to be covered will include maximizing on limited resources, how to influence the affluent traveler, and tips on being competitive. This conference will also see the return of the Tourism Youth Congress at which Caribbean youth will debate issues of concern to the tourism industry. The Caribbean Tourism Organization (CTO), with headquarters in Barbados and marketing operations in New York, London and Toronto, is the Caribbean’s tourism development agency. RCI, the global leader in vacation exchange and part of the Wyndham Worldwide family of brands, and Orange Lake Resorts, home to Holiday Inn Club Vacations, announced a renewal of their affiliation agreement that continues a nearly 30-year business relationship. Holiday Inn Club Vacations’ resorts are strategically located to give vacationers access to top attractions in the U.S., from world-renowned Orlando theme parks and Great Smoky Mountain National Park in Tennessee, to the snow-covered peaks of Vermont and beautiful waters of Lake Geneva, Wis. The family-friendly resorts feature activities and amenities to provide visitors memorable vacation experiences, such as special activities and events, swimming pools, on-site restaurants, fitness centers, mini golf and lake or beach access. RCI’s exchange programs offer many benefits to Orange Lake Resorts’ owners and all RCI members. Those who belong to The Registry Collection program are offered a world of luxury vacation opportunities and experiences at many of the most desirable resort destinations around the world. They also enjoy special services including a personal concierge to assist them 24/7, a Reservation Consultant for trip planning and a unique Guest Certificate program, among other benefits. RCI Points members enjoy the advantages of exchanging with the worldwide leader in vacation exchange and the world’s first global points-based exchange program, which allows flexible exchange for stays from as little as one or two days to as many as 21 days. To further enhance their vacation experience, RCI Points members have the opportunity to upgrade to a Points Platinum membership, which offers opportunities for automatic upgrades, priority exchange privileges and a myriad of exciting new travel and lifestyle benefits. For the seventh year in a row Marriott International has been recognized by Black Enterprise magazine as one of the “40 Best Companies for Diversity.” The July feature article highlighted Marriott for its employee base, board of directors and supplier diversity efforts. “We are honored to be recognized for our diversity and inclusion initiatives. We strive to create an inclusive environment where the talents and unique experiences of our employees worldwide can flourish." said Jimmie Paschall, global diversity officer and senior vice president, external affairs. To date, Marriott has spent $2.6 billion with diverse-owned businesses, more than doubling its 2005 goal, and has more than 586 diverse-owned hotels that are open for business. The company continues to be recognized for its diversity and inclusion achievements. This year, Marriott was ranked first in supplier diversity on DiversityInc’s “Top 50 Companies for Diversity” list and named Company of the Year by LatinaStyle. Known throughout the industry for his hands-on management style, J.W. Marriott, Jr., Chairman and CEO of Marriott International, Inc., has built a highly regarded culture that recognizes the value of Marriott employees. Today, approximately 300,000 employees are serving guests in Marriott managed and franchised properties throughout the world. From Boston to Palm Beach, from Hilton Head to Park City, from Aruba to Thailand you can literally follow Marriott's rising star around the globe. Timeshare rentals, timeshare exchanges and timeshare resales are all here to give you the distinctive excellence of a Marriott vacation experience. RCI has unveiled an exciting and enhanced version of its membership program. RCI Platinum is a premium tier of RCI membership that offers an exclusive range of privileges and lifestyle benefits that its members can enjoy both on vacation and at home. The new lifestyle program, which follows the company’s innovative transformation of its timeshare exchange program by offering trading power transparency to its Weeks members, is designed to make planning and taking that all-important vacation even easier and more enjoyable. Membership benefits include Priority Access to vacations in highly sought-after destinations, opportunities for free unit upgrades, complimentary secure luggage tracking and substantial savings on RCI transactions, travel arrangements, theatre, dining, attractions, days out and more. Sean Lowe, RCI’s managing director for Europe, Middle East, Africa and India (EMEAI), said: “Timeshare owners are always looking for more value from their exchange provider and RCI Platinum will provide just that – new opportunities for priority access and special member discounts. “As the inventor of timeshare exchange, RCI is always looking for ways to develop and enhance its products and services to give our members the best experiences and exceed the expectations of our resort affiliates,” added Lowe. Lowe said the move had partly come in response to member demand for an elite product that would reflect an even greater element of luxury. Bluegreen Corporation, a leading timeshare sales, marketing and resort management company, has announced that Gary Byrd has joined the Company to serve in the newly created position of Chief Hospitality Officer, and Senior Vice President overseeing Resort Operations and Development. Mr. Byrd joins Bluegreen from Wyndham Vacation Ownership, the industry’s largest developer and marketer of vacation ownership products, where he served as Executive Vice President, Hospitality Services from 2007-2011. 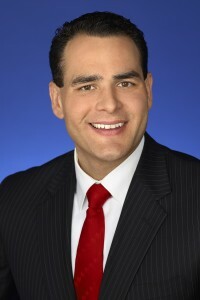 He joined Wyndham in October 2006 as Senior Vice President, Operations. Prior to that, Mr. Byrd held several leadership positions with Hilton Grand Vacation Club, most recently as Senior Vice President, Resort Operations. His previous resort management experience includes senior leadership positions with Promus Hotel Corporation at properties located in Myrtle Beach, Kansas City and New Orleans. Mr. Byrd served as a member of the United States Army during Desert Storm. “It is an exciting time for Bluegreen Resorts, and I look forward to partnering with the Company’s talented team of professionals to further strengthen our industry position, brand awareness, and reputation,” said Byrd. Founded in 1966 and headquartered in Boca Raton, FL, Bluegreen Corporation is the leader in providing “Colorful Places to Live and Play®” through its vacation ownership resort and residential real estate businesses. Bluegreen Resorts manages, markets and sells the Bluegreen Vacation Club, a flexible, real estate-based vacation ownership plan with more than 160,000 owners, over 56 owned or managed resorts, and access to more than 4,000 resorts worldwide. Continuing its strategy to expand the geography of its holiday exchange network, RCI is pleased to announce the affiliation of two resorts in exciting destinations that are fast-growing in popularity with holidaymakers across Europe and beyond. The Residence Club is located in the stunning mountain village of Donovaly in the Low Tatras National Park of Slovakia. The resort is comprised of luxuriously furnished one- and two-bedroom apartments all offering wonderful views of the region. There is also 24-hour room service courtesy of the adjacent Residence Hotel, where guests can enjoy amenities including an Ayurveda center and spa center, as well as restaurants and bars. The area is home to one of the country's largest winter resorts with more than 7 miles of ski slopes. The location is also popular with visitors during the summer months as it offers a variety of activities, including hiking, mountain biking, Slovakia’s biggest rope activity center and even tobogganing on a dry track. Kamelya World Vacation Club. 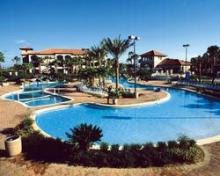 RCI’s newest resort in Turkey, Kamelya World Vacation Club, is a haven for sun worshippers and beach lovers. It is part of the luxurious Kamelya World Holiday Complex - a stunning seafront resort in Colakli that also contains two five-star hotels and a holiday village. Kamelya World Vacation Club enjoys beautiful views over the glistening Mediterranean, while the resort features many attractions including an Aqua Park, tennis courts and water sports such as windsurfing, parasailing and jet skis. There are nine restaurants and 13 bars at the resort and RCI exchange guests will initially be accommodated in rooms at one of the resort’s five-star hotels before the timeshare units are complete in 2013. RCI has added two beautiful hill destination properties in India to its network – The Krishna Mount View-Mountain Resort, Kausani (see photo) in Uttarakhand and Kadkani River Resort, Coorg, Karnataka. "We are very pleased to welcome The Krishna Mount View-Mountain Resort and Kadkani River Resort into RCI’s network of affiliated resorts," said Radhika Shastry, managing director of RCI India. "These beautiful resorts are a remarkable addition to the collection of hill vacation destinations we offer to our members worldwide." 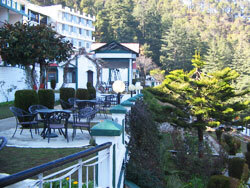 Krishna Mount View-Mountain Resort is located in Kausani, a popular Himalayan destination commended by Mahatma Ghandi as "the Switzerland of India." Kausani Mount View-Mountain Resort is known for its unspoiled natural beauty and its spectacular views of the majestic Himalayan peaks of Trishul, Nanda Devi and Panchchuli. Krishna sits at the highest spot in Kausani and offers 31 luxuriously furnished rooms, all with incredible views. Features include an international restaurant, indoor games and a dormitory facility. Kadkani River Resort is situated 155 miles from Bangalore in Coorg, dubbed the Scotland of India. Coorg has much to offer the nature lover with "misty hills, lush forests, acres of tea and coffee plantations, orange groves, undulating streets and breathtaking views." Situated within this picturesque backdrop, The Kadkani River Resort, set within a coffee plantation, offers 36 fully-equipped cottages, each with a private porch where you can enjoy the tranquil surroundings on the banks of the majestic river Cauvery. The resort includes a well-maintained nine-hole golf course laid out amidst areca-nut trees and coffee plantations. Other key features include a swimming pool, water sports facility, hiking, table tennis, volleyball, indoor games and a craft center. Local culinary fare and multi cuisine dishes are served with wonderful Coorg hospitality at the 'Pride of Pachat' restaurant. Dial An Exchange (DAE), one of the world’s largest independent timeshare exchange organizations, was a major winner of three prestigious awards at the timeshare industry's Global Networking Expo & Perspective Magazine Awards Gala, held recently at the Atlantis Resort, Paradise Island, Bahamas and attended by industry leaders from five continents. Dial An Exchange also received two nominations for the Best Marketing Campaign: DAE Branding of Classic Escapes Sales Decks and DAE International Press 2010. Members of the vacation industry cast more than 2,400 votes online during a two-month search for the shared ownership industry’s elite. Online votes were tallied with decisions from an expert panel of judges. Nearly 150 entrants competed in a variety of categories. “We are extremely proud of these awards,” said Fermin Cruz, VP of North American business for DAE, “especially the Best Leader award. Under his guidance, Francis has steadfastly modeled the DAE business to focus on keeping our members happy while constantly delivering on our promises. His leadership position has enabled him to see the industry from a unique, global perspective and bring an independent viewpoint to timeshare exchange and how best to meet the needs of changing consumer behavior”. DAE is the largest independent timeshare exchange provider with worldwide destination availability. Formed in 1997 to support timeshare owners, membership is free and exchange fees are not charged until an exchange is confirmed. Since the company’s formation, DAE has grown from a single office in Australia to offices in Europe, the United States, New Zealand, South Africa, Asia, the United Kingdom and Phoenix, Arizona. The company has over 300,000 members around the world. Shell Vacations has announced the addition of the iconic Park Manor Suites to its portfolio of San Diego timeshares. As part of the acquisition, the company also announced it will officially change the name to Inn at the Park in an effort to maintain brand recognition with other similar properties within the Shell Vacations collection. Inn at the Park is also the name of one of the hotel’s restaurants. “After more than five years of searching in the San Diego area, we are delighted to have found our dream property. The ambiance, location and timeless appeal of Inn at the Park are ideal for our family of customers both current and future,” says Sheldon H. Ginsburg, Chairman of Shell Vacations LLC. “We are very pleased and excited to announce the acquisition and addition of this historic hotel into the Shell Vacations’ portfolio. Inn at the Park will be a signature location for our Company and we look forward to serving its customers and guests with the quality and service our Company is known for,” says Tracy L. Sherles, President and COO of Shell Vacations LLC. With a reputation for superior service, neo-renaissance architecture and home-away-from-home amenities, the Inn at the Park is an ideal addition to the Shell Vacations family of hotels and resorts that are designed to accommodate leisure vacations, business trips and everything in between. The classic hotel features a combination of studio, one- and two-bedroom suites, ranging in size from 525 to 1,000 square feet, with 9-foot ceilings and large sage windows with postcard-picture views of the city below. Some units have balconies for enjoying the famed San Diego weather. 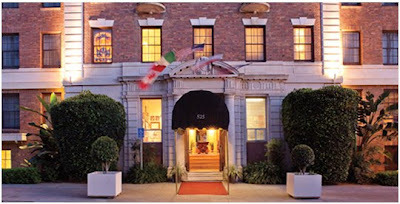 Designed by Frank P. Allen in the Italian Renaissance style, the hotel is closely tied to San Diego civic history. The red brick building was originally built as an apartment complex to house the architect and his family. Frank P. Allen is also known for his design of the stately Cabrillo Bridge. In 1991 it was named a Historic Site of San Diego. Keeping the original design footprint of the suites, the hotel also boasts one of the most grand and detailed lobbies in the city. The historic hotel is situated steps away from the world famous Balboa Park and is the premier, all-suite boutique hotel in the city offering easy access to the world-renowned San Diego Zoo, the Old Globe Theatre, 15 museums, beautiful gardens and the city’s best performing arts venues. Chairman of the Board of the Corporation for Travel Promotion (CTP), Stephen J. Cloobeck, also chairman and chief executive officer, Diamond Resorts International®, discussed the importance of travel promotion, marketing strategies and plans for efficient and effective expenditure of CTP resources during a live interview a week ago with Jane Wells on CNBC. The CTP initiatives include implementing a world-class marketing and promotion program designed to attract more visitor spending to the U.S. in order to drive economic growth and create jobs. Intensive market research will allow for strategic international advertising placement and deliver a culturally sensitive message geared specifically for each region. The budget for CTP is comprised of funds from the private sector and fees from foreign tourism and will be allocated to appropriately represent all stakeholders, including all states and territories in the U.S.
“We are the only country in the world that doesn’t have a ministry of tourism or a marketing arm for our country and since 24% of our service exports are in tourism and travel, this is a simple way for us to create GDP and jobs,” stated Cloobeck. Devising marketing initiatives for "Brand USA," the CTP is a new non-profit corporation that will promote travel to the United States, and communicate and improve the entry process so that visitors want to return. The eleven travel and tourism industry leaders who serve on the CTP Board of Directors were appointed in September, 2010, by U.S. Commerce Secretary Gary Locke. Diamond Resorts International, with global headquarters in Las Vegas, Nev., is one of the largest hospitality companies in the world with more than 190 branded and affiliated resorts in 28 countries with destinations throughout the continental United States and Hawaii, Canada, Mexico, the Caribbean, Europe, Asia, Australia and Africa. Offering "simplicity, choice and comfort" to more than 385,000 owners and members through the branded hospitality service of more than 5,500 team members worldwide, Diamond Resorts International is dedicated to "providing its guests with effortless and relaxing vacation experiences every time, for a lifetime." Diamond Resorts International®, a global leader in the hospitality and vacation ownership industry, strengthens its commitment to exceptional customer service by building upon the foundation of The Meaning of Yes® with the launch of a 30 minute brand video featuring an in-depth conversation with Chairman and CEO, Stephen J. Cloobeck. The Meaning of Yes is a service excellence platform that empowers Diamond team members to deliver a branded hospitality experience to every owner, member and guest worldwide, as the company continues to grow and expand globally. Diamond Resorts International thrives upon the service excellence platform set forth by Cloobeck. By responding to customer feedback and engaging in cost efficient and effective solutions, Cloobeck has successfully developed a hospitality product that is much more than vacation ownership, but guarantees a lifetime of memorable vacation experiences to all owners, members and guests. The Meaning of Yes ensures that every guest receives the vacation they deserve. Annually, nearly 1.4 million owners, members and guests enjoy the simplicity, choice and comfort Diamond Resorts International offers through our branded hospitality experience. Timeshare rentals are available at many Diamond resorts including: the Flamingo Beach Resort, Simpson Bay, Sint Maarten & Saint Martin, the Royal Regency, Paris-Vincennes, France, and at the Scottsdale Villa Mirage, Scottsdale, AZ.